Safari is the stock web browser for iOS and Mac devices. It is no doubt that, it is one of the best modern web browsers available on the planet. Probably, Google Chrome is the best browser in terms of usability and features, but Safari could beat it in many aspects. The most useful feature is to add, delete and see saved passwords in Safari on iPhone or iPad that many users don’t know. 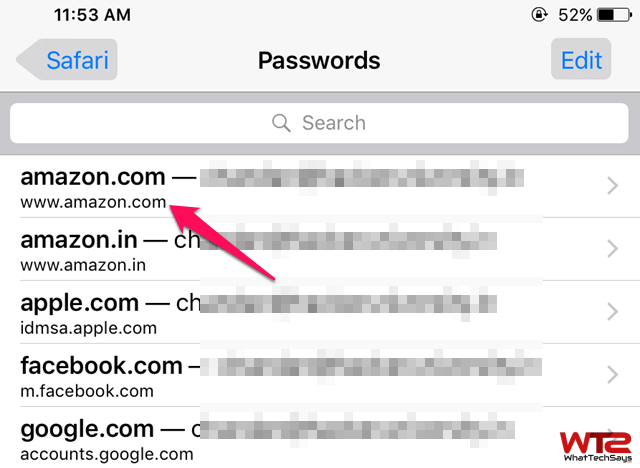 iOS Safari allows you to save usernames and passwords to your frequently visited websites. Once the login information is stored on the iPhone or iPad, every time you go to that particular internet site, the username and password field fill automatically. Apart of this, it also saves the credit card information under the autofill settings. This method is easier and quicker to retrieve your essential information while visiting the same website. Safari’s iCloud Keychain makes it easy for you to save passwords and credit card details. The data is stored in the security of iCloud so you can use it across all of your Apple devices without any hassle. But, it may vary in some websites that they don’t support autofill function. Do you know that you can easily add, delete and even see the saved passwords in the Safari right from the Settings on your iPhone or iPad? If you have forgotten the login credentials of a website, you can easily retrieve from the Settings app. 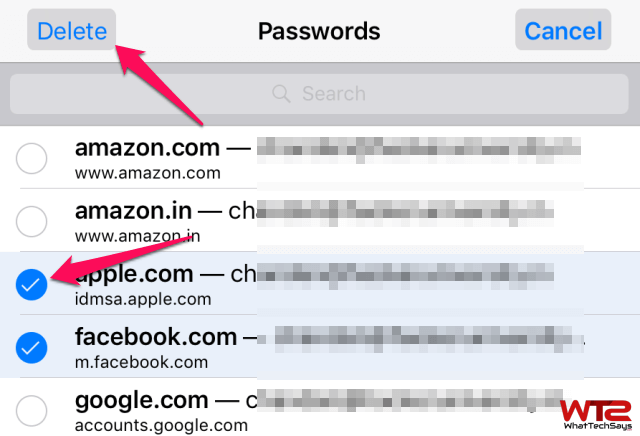 This is more convenient to manage passwords in Safari. This tutorial is on how to manage your saved information properly. 1) Open Settings app on your iOS device. 2) Look for Safari and tap on it. 3) Under General section, tap on Passwords. 4) It will be asked to authenticate with Touch ID to proceed further. 5) Here you’ll see a list of websites. Tap anyone among them to see the login details. 1) Open Settings >> Safari >> Passwords and authenticate with your Touch ID. 2) Tap on a website which you would like to edit. 3) After that, tap on the “Edit” button to modify the login details. 4) You can only edit the Username and Password field. 5) To remove a website, tap on the red button left to the website name and then tap on the Delete button. 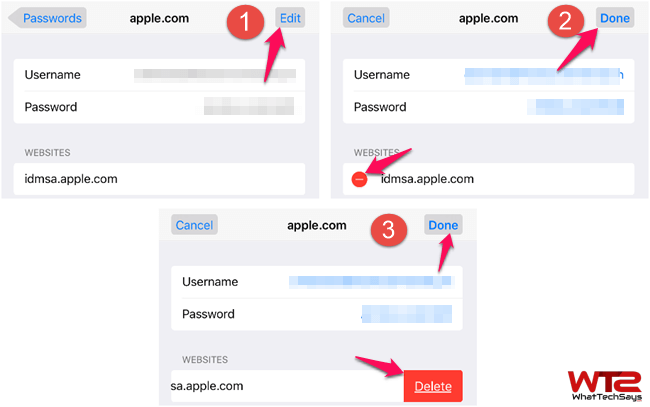 To delete multiple websites in bulk, tap on the “Edit ” button on the Settings >> Safari >> Passwords. After that, tap on the website names you want to delete. Next up, tap on “Delete” button from the top left corner and tap on Delete again at the bottom to confirm. You can also add a new website’s login details on the Passwords section. To do so, just tap on the “Add Password” button and enter the website URL, username, and password. Once you are done, just tap the “Done” button to store it on the saved passwords. 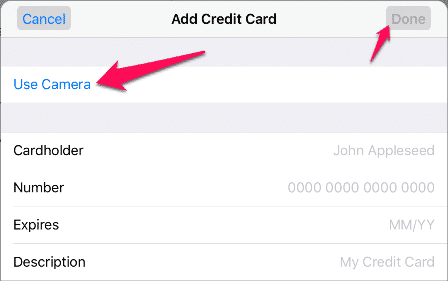 Safari also allows you to store your credit card information under autofill settings to fill it automatically when you need. If you want to check your credit card number and expiration date, you can easily get it without having to log into a website that uses it. 1) Open Settings >> Safari >> Autofill and tap on the Saved Credit Cards. 2) It will be asked for the Touch ID for authentication. After that, you’ll be able to view your card details. As like password, you can also delete and add a new credit card information such as Cardholder name, Number, Expiry date, etc. Or, tap on the “Use Camera” button to add a credit card information by placing your card in front of the camera. This tutorial was on how to add, delete and see saved passwords in Safari on iPhone, iPad and iPod Touch devices. If you have any questions regarding how to manage passwords on iOS, then let us know in the comments section below.